Amalgamated Rural Teachers’ Union of Zimbabwe, ARTUZ has received assurance​ from the team of incoming President ED Mnangagwa that Dokora won’t be part of next government. We are therefore suspending the anti Dokora protests waiting for the appointment of new education Minister. We have written to the incoming President ED Mnangagwa outlining the characteristics we expect for Ministers of Public Service and Education. 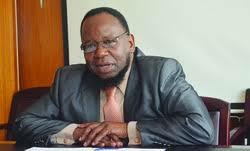 We wish Dokora well when he finally leaves our Education Ministry.